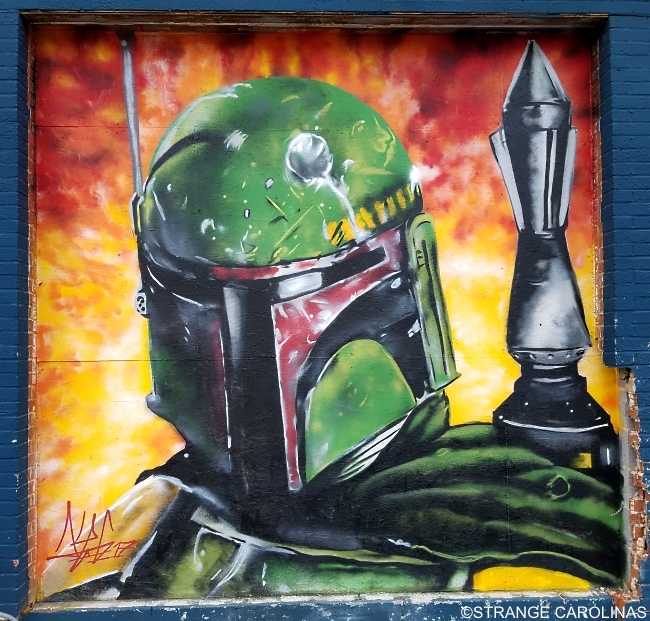 Alex DeLarge (Alx Dlrg) painted this awesome Boba Fett mural at Seventh Sin Tattoo Company. According to Seventh Sin's Facebook page, in April a drunk driver drove through one of the shop's two huge windows. Seventh Sin boarded up the window and DeLarge painted this killer piece on the plywood. This mural has been removed.